The rumours that were going around for past couple of months have become a reality. 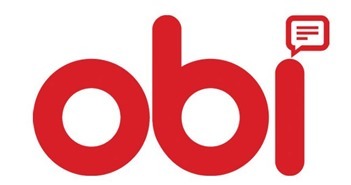 John Sculley, the former Apple CEO has launched his brand Obi mobiles in the Indian market. Singapore based Inflexipoint will initially invest $20 million in the company. The company’s current plan is to launch Android handsets in the Rs 5000 – Rs 8000 category. The profit margins are expected at 20 percent, considering the competition in the category. Sculley who has remained the top executive of Apple for almost ten years spanning between 1983 and 1993, will invest in the new mobile brand. While the segment is too crowded already, Sculley is optimistic to make profits after the first five months. That might sound a little far fetched, but considering the expected 15 – 18 million handsets that are going to be sold in the segment during this year, it doesn’t sound overambitious if Obi even manages to sell only a small part of it. Ajay Sharma, ex-country head for HTC India who was also spearheading Micromax India operations, will serve as the country head for Obi. Sharma is also quite hopeful about the success of the brand. The key strategy in getting the brand make a name, is to differentiate the brand from the leaders in the market. They believe there’s still scope for having a handset that offers better value for money. This far the only known USP for the mid-range Android handsets is going to be VAS (value added services) integrated with the handsets. While the idea seems very intriguing the implementation is going to be the tough part, the reason being the current network carrier dominance in the country. On previous occasions, ventures like this has failed to succeed. Obi will definitely need to ink a fruitful partnership with the carriers to show this scheme the light of the day. The company is yet to have a web presence that has information about the handsets, has a website Obimobiles.com which is just a placeholder for now. Dragon Technology, based in Singapore, will be responsible for the distribution and production of the handsets in China. Iris Computers, an Indian company owned by Inflexipoint, on the other hand, will handle the sales in India and push the brand via its vendors and distributors. While an experienced and successful top brass earns Obi the much needed confidence to set foot in the market, it is still hard to succeed in a segment dominated by local brands like Micromax as well as global leaders like Samsung. As suggested by Sculley and Sharma, marketing is going to play a pivotal role here. It is surely going to be an interesting journey to witness whether Obi gains a foothold in the growing Indian mobile market. © 2019 - Trak.in - Indian Business of Tech, Mobile & Startups. All Rights Reserved.